Sublimation Flag made of Nylon Fabric (Red / Yellow Pattern & black border). Tube made of Aluminium, 54cm* Long & hand grip made of superior foam rubber. It features swivel function. Customized tube lengths & colours are also available on request. 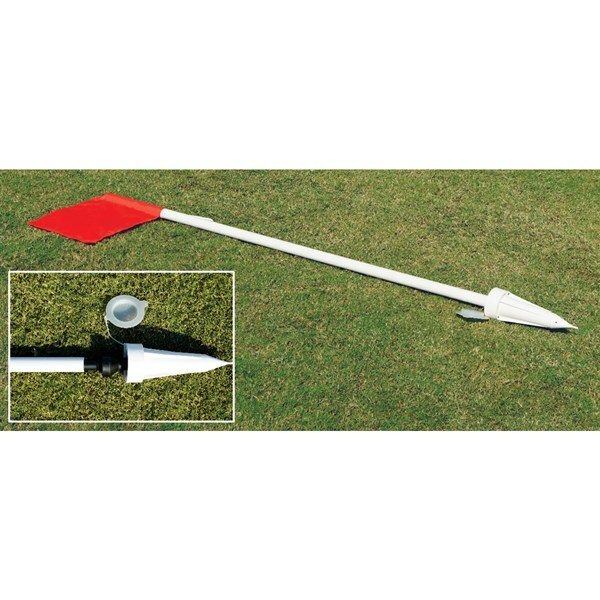 Corner flag classic features in-built spring mechanism. It is made of SEP (Plastic) tube, with a steel spring inside & spring is covered with rubber sleeve. 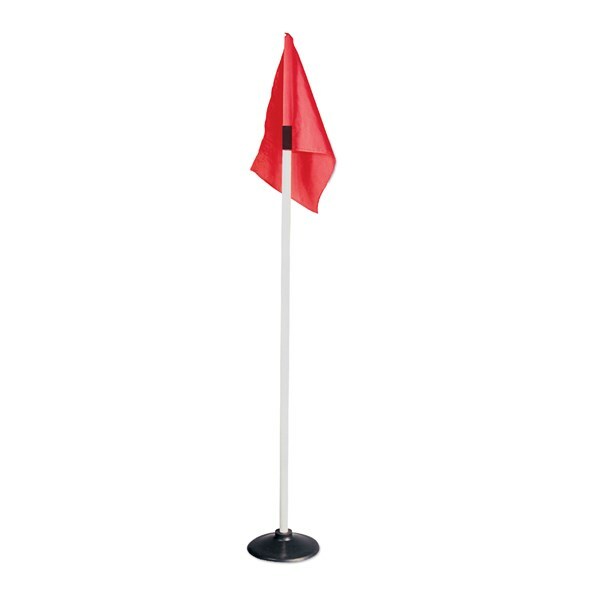 Flag is made of polyester fabric and comes with a black holder clip to hold flag on pole. It also includes black socket to fit pole in ground. Sold as a set of 4 pcs. 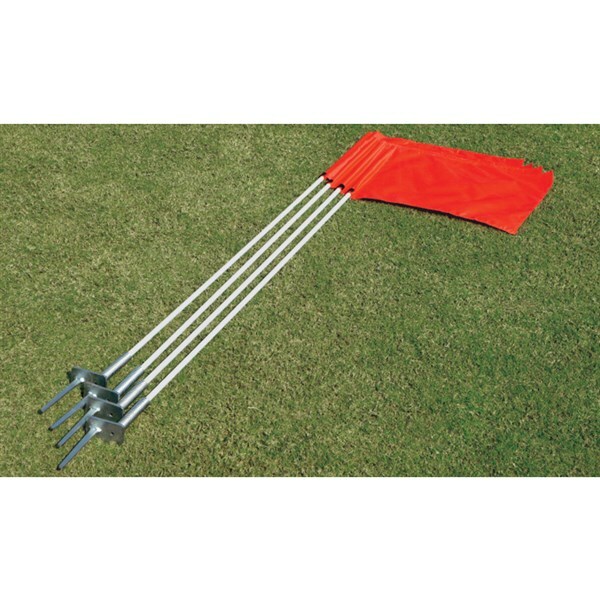 Flags can be made as per specific requirement. 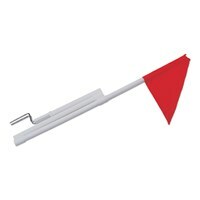 It is made of 5' long SEP (Plastic) tube, with a steel peg without spring. Flag is made of Polyester Fabric. Sold as a set of 4 pcs. Flags can be made as per specific requirement. CFG-100S ...... ...... Without carry bag. SPRING VERSION. CFG-100SWB ...... ...... With Carry bag. SPRING VERSION. Stitched Panels flag made of Polyester Fabric (Red / Yellow Pattern). Tube made of Aluminium & hand grip made of superior foam rubber. It features swivel function. Customized tube lengths & colours are also available on request. Stitched Panels flag made of Polyester Fabric (Fluorescent Yellow & Orange Pattern). Tube made of SEP (Plastic) & hand grip made of PVC. It features swivel function. 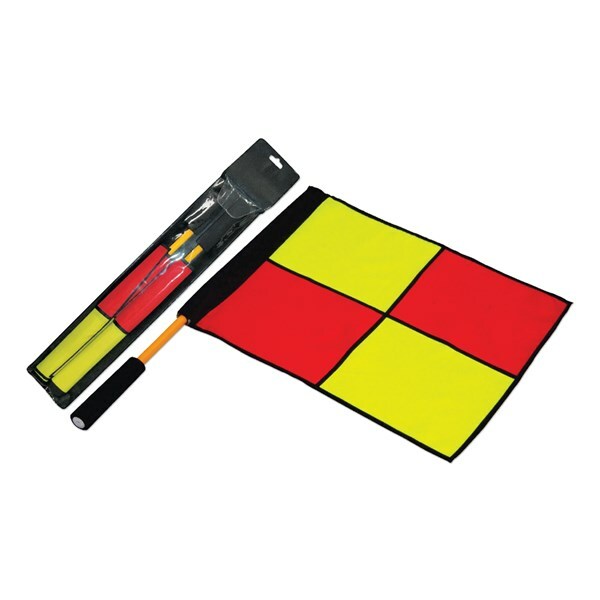 Stitched Panels flag made of Polyester Fabric (Fluorescent Yellow & Orange Pattern). Tube made of SEP (Plastic) & hand grip made of superior foam rubber. It features swivel function. 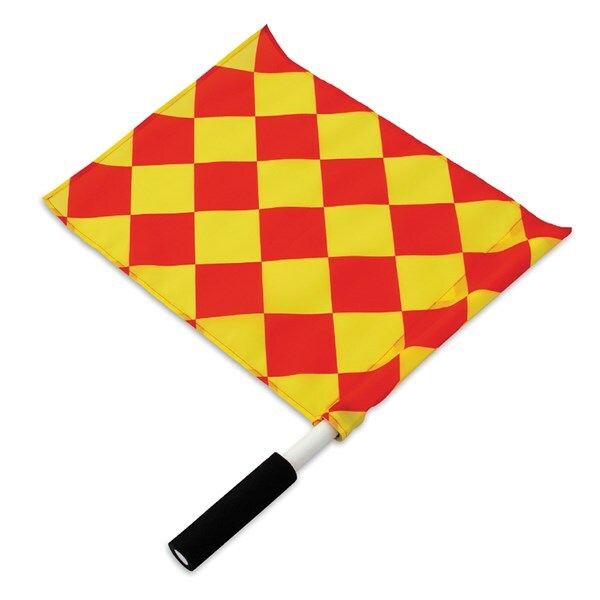 Stitched Panels flag made of Polyester Fabric (Red / Yellow Pattern). Tube made of SEP (Plastic) & hand shaped grip made of superior foam rubber. It features swivel function. 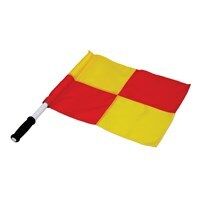 Stitched Panels flag made of Polyester Fabric (Red / Yellow Pattern). Tube made of SEP (Plastic) & grip made of PVC. It features swivel function. Single colour flag, 38 cm x 41 cm, made of polyester fabric. Tube made of SEP (plastic), 50cm long with hand grip, it feature Swivel function. Note:Customized tube lengths are also available on request. Single colour flag, 41 cm x 41 cm, made of heavy duty polyester fabric. Tube made of SEP (Plastic), 54 cm long & without hand grip. It features swivel function. Customized tube lengths are also available on request. It is made of 5â€™ long SEP (Plastic) tube, with a steel peg without spring. Each pole is foldable in 4 parts for easy storage. Flag is made of Polyester Fabric. Sold as a set of 4 pcs. Flags can be made as per specific requirement. CFG-222S ...... ...... Without carry bag. SPRING VERSION. CFG-222SWB ...... ...... With Carry bag. SPRING VERSION. 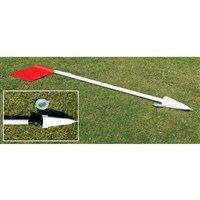 32 mm thick heavy duty poles with rubber moulded spring adapter and white plastic ground adapter (with lid). Flag made if polyester fabric with string to tie with pole. The rubber spring has great stability. 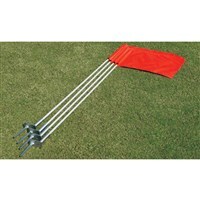 Set of 4 PVC post (length: 1.2 m, diameter 32 mm) and 4 Adapter sets. Corner flag made of 5' long 8 mm thick fibre stick, with a steel spring base & peg for easy insertion into the ground. 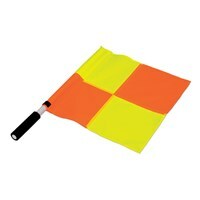 Flag is made of polyester fabric. Sold a set of 4 pcs. CFG-200 ...... ...... Without carry bag. CFG-200WB ...... ...... With carry bag. 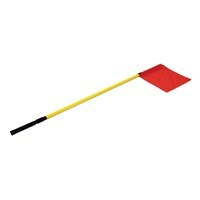 It is made of 5' long, 25 mm diameter plastic tube, with spring peg. 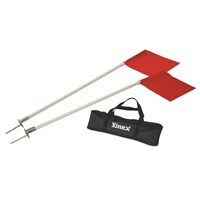 Each pole is foldable in 4 parts for easy storage. 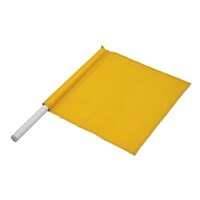 Flag is made of polyester fabric. Sold as a set of 4 pcs. CFG-CL666 ...... ...... Without carry bag. CFG-CL666WB ...... ...... With carry bag. Corner flag made of 5 mm fibre stick. 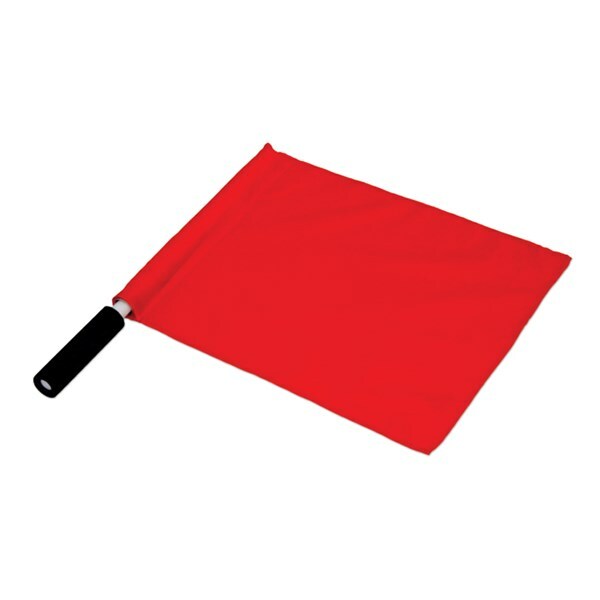 Flag is made of polyester fabric. Foldable in 2 parts for easy storage. Sold as a set of 4 pcs. CFG-555 ...... ...... Without carry bag. CFG-555WB ...... ...... With carry bag. 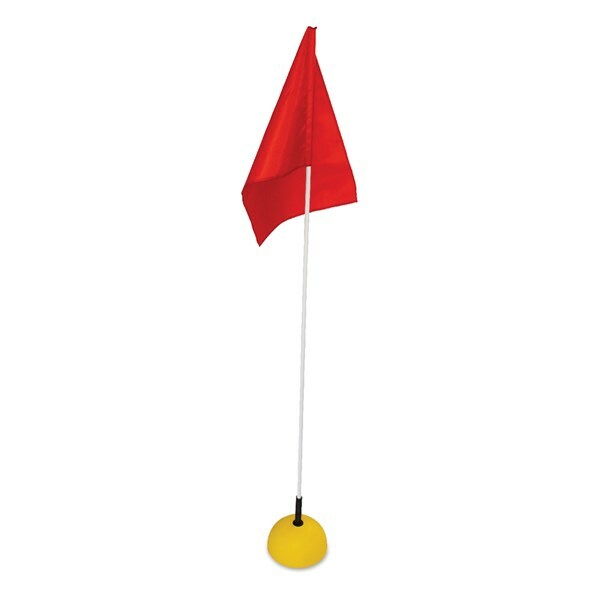 Flag made of polyester fabric with weight in center. 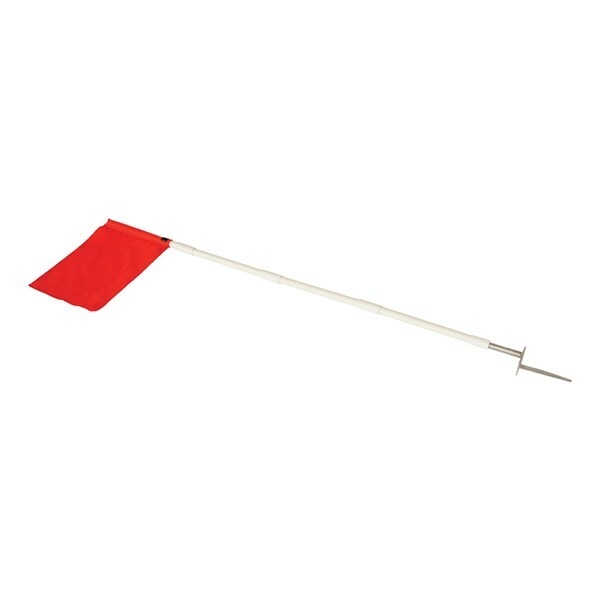 Flag is used by the coach for marking foul point in many sports. 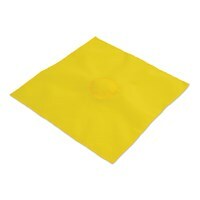 Size: 15" x 15"
CFG-888 ...... ...... Without carry bag. CFG-888WB ...... ...... With carry bag. 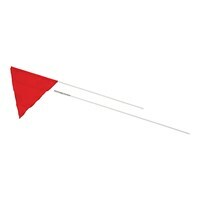 Lineman's flag made of polyester fabric with Red/Yellow diamond pattern. 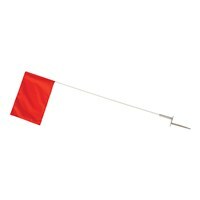 It also features Swivel function for easy movement of flag. Length:50 cm.